If you've ever seen a huge newspaper printing press in operation in a movie with all of its enormous cylinders rotating and newsprint paper flying through in a super-fast continuous stream, you've seen a room-size example of a web press. A web press prints on continuous rolls of paper or other substrates. Some web presses print on both sides of the paper at the same time. 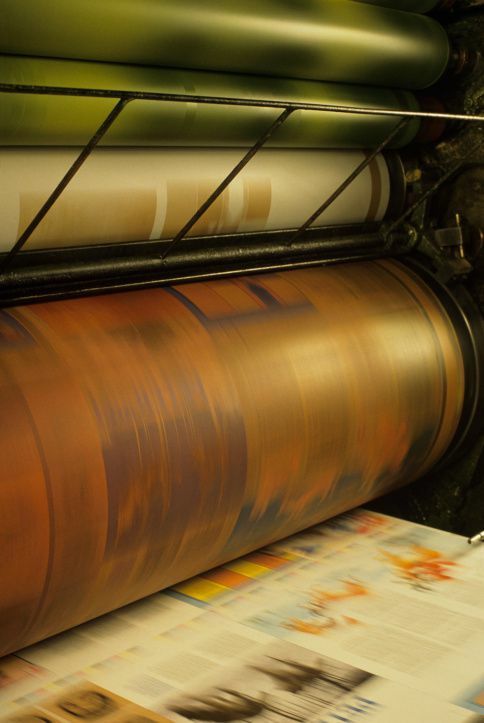 Most web presses use several connected units for printing different colors of ink, and some have units that cut, collate, fold and punch—all in line—so a finished product rolls off the end of the press, ready for distribution. High-speed commercial web presses use wide rolls of paper for newspapers, books, calendars and other printed products. Heat-set web presses use heat to set the ink, which is essential for printing at high speed on glossy stock. The paper runs through the web units so quickly that the ink must be set. Small or cold-set web presses handle lower volume printing of forms, such as direct mail and small publications with paper roll widths as small as 11 inches. The paper used on cold-set web presses is almost always uncoated. Newspaper presses can occupy several floors and contain multiple printing units along with a variety of folding sections to handle the different sections of the paper. The phrase "Stop the presses!" originally referred to stopping the running of a newspaper web press because of an important late-breaking news story. If printing was already in progress but not far along, the plate with the change would be substituted, and a new version of the paper would start rolling off the end of the press. A web press is typically used for very high-volume printing such as for magazines and newspapers. Web presses are much faster than most sheet-fed presses. Printing presses for flexographic printing, often used for packaging, are usually web presses. These advantages usually equate to a lower per-piece price on jobs with long runs. At some point in run length, the advantages and disadvantages cancel out. In general, a long print run is less expensive when printed on a web press than on a sheet-fed press, but a short print run on a web press would be cost prohibitive. 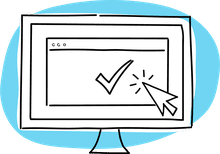 If you are designing a publication destined for a web press, you likely won't need to make any adjustments for it in your page layout software. Most large printing companies that run web presses use software that handles the imposition of the pages of your document so everything comes out in the proper order when the project is complete. Nevertheless, if this is your first experience with designing for a web press print run, ask the commercial printing company if it has any specific guidelines you should follow.